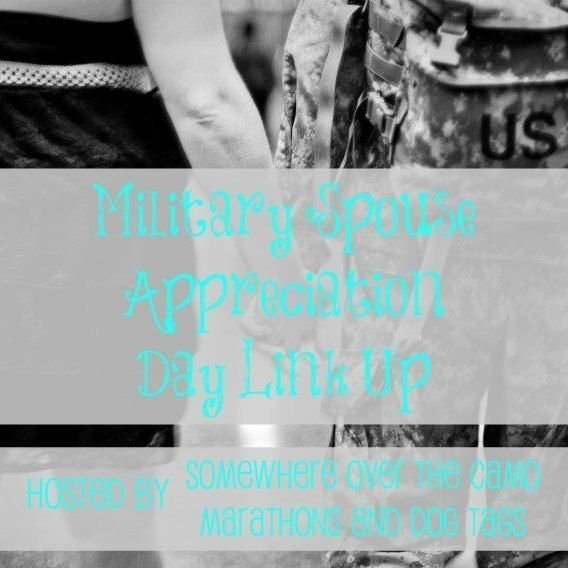 Today is Military Spouse Appreciation Day, and I'm linking up with Amanda at Somewhere Over the Camo and Jen at Marathons and Dogtags for a fun get-to-know-you post! //Tell us about yourself and your blog. Hi, I'm Janelle! 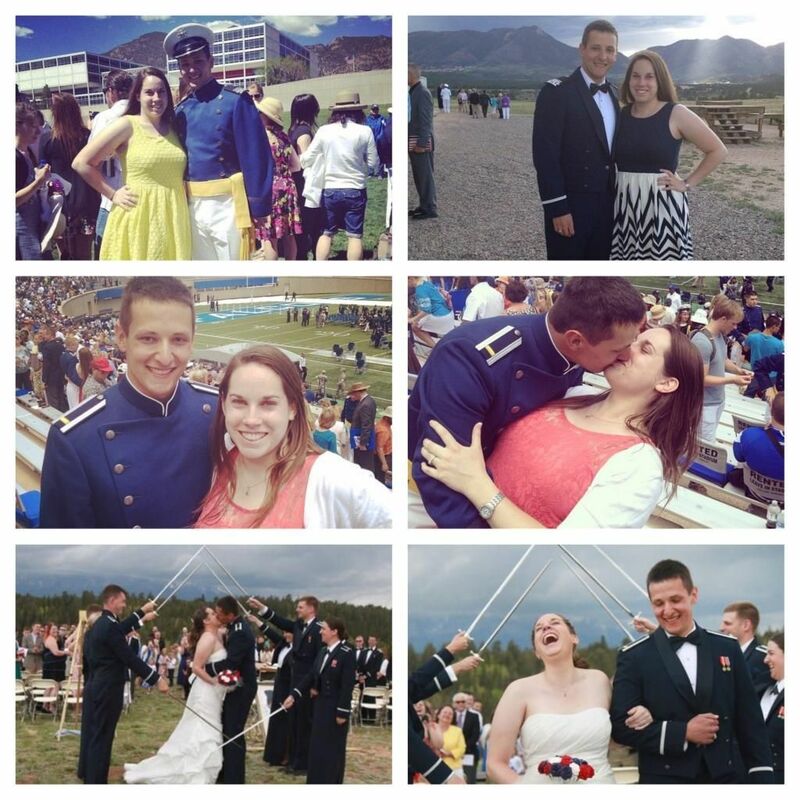 I'm a wife to Lieutenant Lovemuffin, also known as Dan. We have an eight month old daughter, Annabelle, and we recently moved to Wichita Falls, TX so he can go to pilot training. I used to teach 8th grade reading and writing before getting married and being whisked across the country. I love reading, writing, running (when I'm not injured), blogging, crafting, my cats, game shows, and all things Kansas City sports related. I also run an Etsy shop, named after my little girl: AnnaKate Paperie. //What branch of military are you affiliated with? Air Force! But Lieutenant Lovemuffin originally enlisted in the Army nearly 10 years ago in June of 2006! He then transferred to the Air Guard and was training to become a B-2 Crew Chief when he received his acceptance to the US Air Force Academy in 2009. He graduated and commissioned from there in 2014, got his Master's degree in Applied Physics at Wright-Patterson Air Force Base, and is now ready to begin pilot training (ENJJPT) at Sheppard Air Force Base. //What is one thing you enjoy about the military lifestyle? I am not a big fan of the unknown, so a lot of aspects of military life aren't for me... but all the adventures we've been able to go on and will be able to go on in the future are pretty awesome and have definitely helped to break me out of my comfort zone. We've traveled via Space A twice now (and are planning a third trip VERY soon, so hopefully that works out!). I'd say Space A is a huge benefit. I've also made a few really great friends through this military lifestyle... not many, but hey - quality over quantity any day! It's been fun linking up today, and I look forward to meeting some fellow military spouse bloggers who I haven't connected with before!